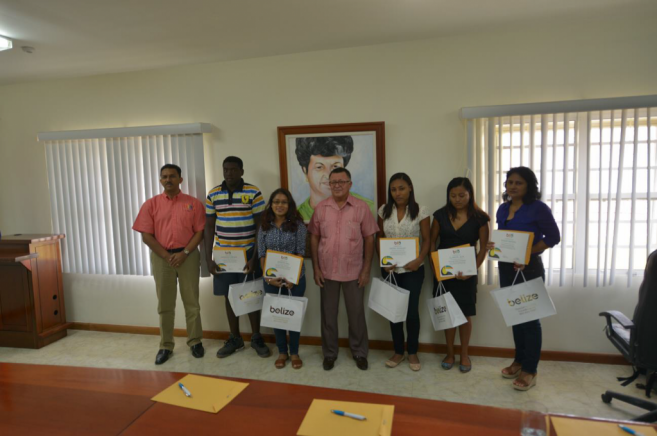 Belize City, Belize – August 24, 2016 – The Belize Tourism Board awarded five (5) scholarships to students venturing into the Tourism field of studies. Minister of Tourism and Civil Aviation, Hon. Manuel Heredia Jr., presented each student with their scholarship package.